In between owing a bunch of Orton marks, I managed to get another show put together. 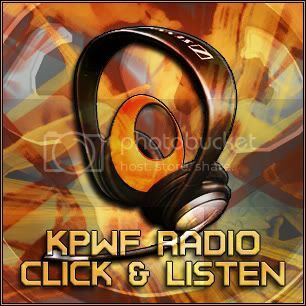 Here is KPWF with DC and Josh. We talked a lot about what's going on here and DC explains a lot of things. Pretty interesting discussion with Josh also. Thanks for listening. Didn't realize it until I listened later. Meh, I couldn't hear jack when that was being recorded so. Next show though better have Spear on it! Last edited by Spear; 02 Apr 2008 at 07:10 PM. Is there an episode of KPWF in which nobody mentions me? I don't think I mentioned you Boston. LMAO, Josh is better than Boston. I don't post on that Disney board anymore. Of course he's in the Military I put him over more than most of the posters on PWF.